DANBURY, Conn., (May 24th, 2017) - Addivant™, the world leading supplier of liquid phosphite antioxidants for plastics, has announced that the European Food Standards Agency (EFSA) has further expanded the approval for the use of Addivant’s nonylphenol-free stabilizer, WESTON® 705, to an even broader range of food-contact applications. This expansion by EFSA increases WESTON® 705’s Specific Migration Limit (SML) by a factor of 2 to 10mg/kg. 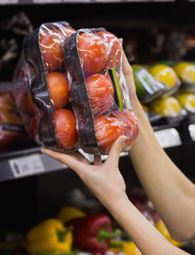 This makes WESTON® 705 the perfect stabilization solution for the most demanding food packaging applications such as fatty food or alcohol content packaging. Tested against the newest and most stringent food-contact standards, WESTON® 705 is the only antioxidant for plastics with a fully tested Non-Intentionally Added Substances profile. Already approved in more than 180 countries for food-contact packaging, WESTON® 705 is the only nonylphenol-free liquid phosphite antioxidant alternative with food- contact approvals in the U.S., Canada, Europe, and China. This enables resin producers and packaging manufacturers to employ a single, global solution for Consumer Packaged Goods for customers looking to stay ahead of the regulatory curve. The result of more than seven years of research and investment, WESTON® 705 is the most thoroughly tested new plastic antioxidant on the market today. Addivant™ is dedicated to Responsible Care®, the chemical industry’s initiative to protect the environment; while ensuring the safety and security of our operations; and safeguarding the health and safety of our employees and neighboring communities.